Spring is coming fast in Europe and the Mediterranean, and suddenly there is so much to do in the garden! The super organised will have been planning in advance all through the winter but that doesn’t mean you can’t catch up. Not an easy one but it is important to make it enjoyable and achievable. If you don’t enjoy it you will feel unhappy and gardening is all about making you feel good. So, my first tip is to make it enjoyable, make it achievable. 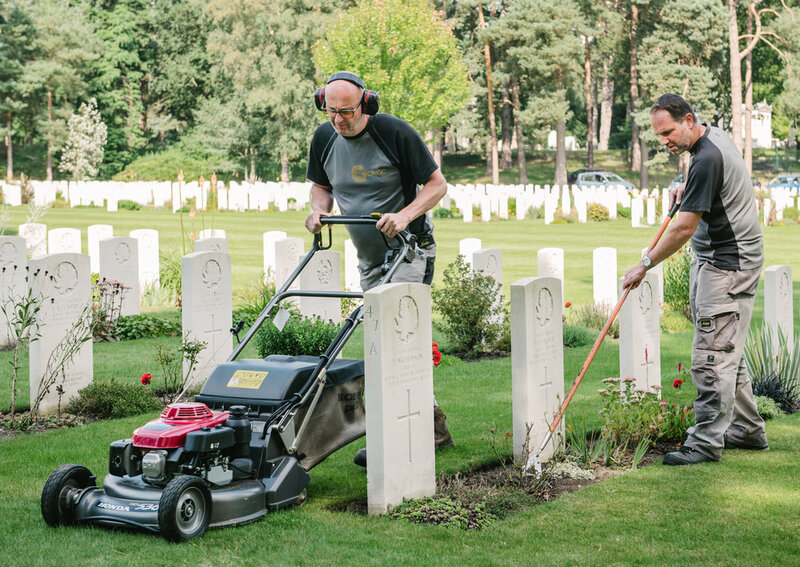 With more than 700 hectares of garden and 800 gardeners in over 150 countries and territories, we at the CWGC try to make it look effortless but our work does contain over a century of horticultural expertise. We do it well and make it look easy! With spring round the corner our gardeners all over the world will be taking on tasks that you will also probably be thinking about. On a different scale and with cemeteries and memorials in every corner of the world the horticultural conditions and scenarios that we encounter are vast, and that’s what we love about it. Right now in Northern European and much of the Mediterranean area we will be starting to prepare our borders to improve soil texture and condition, and hoeing any annual weed seedlings that dare to appear. On a more domestic level, what you can do at home can be a lot simpler and less labour intensive. I find that just gently forking in a thin layer of well-rotted manure before your spring planting can be very beneficial if you want the task to be a bit more effortless and tend to work towards the no-dig attitude. Adding the manure will improve structure and help enrich the humus in the top layer of your soil which will also help with water retention during the growing season – we are always looking at ways to reduce watering and this is one of them. Look out for all of these things when visiting our beautiful landscapes and be sure to ask any questions you have, our gardeners will be more than happy to tell you how they do it!